Vrisi36 is disrupting the Olive Oil shelf…. but in a good way. 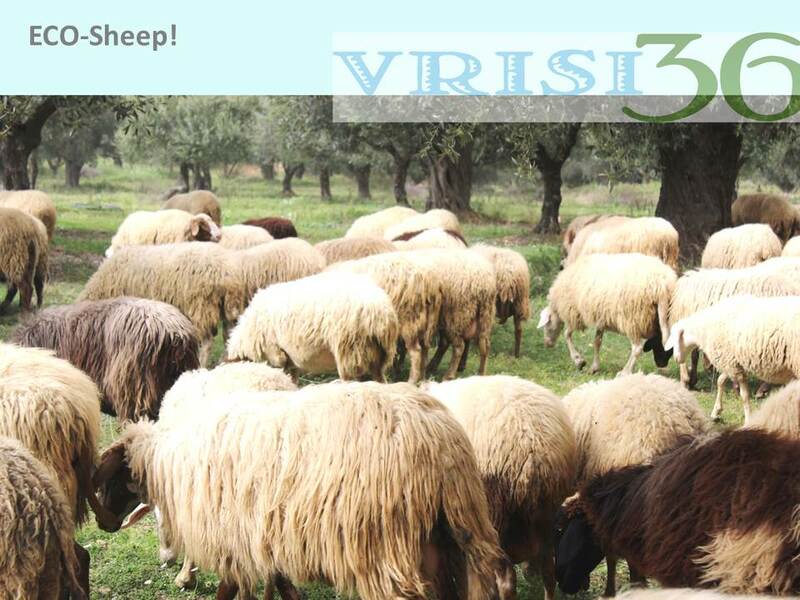 If your food purchase expectations are higher, necessitating nourishing, all natural, transparency in foods and ingredients, which are deeply connected to the land, you will go OPA over Vrisi36 Greek products. Vrisi36 offers a line of 100% Greek region-specific extra virgin olive oils. 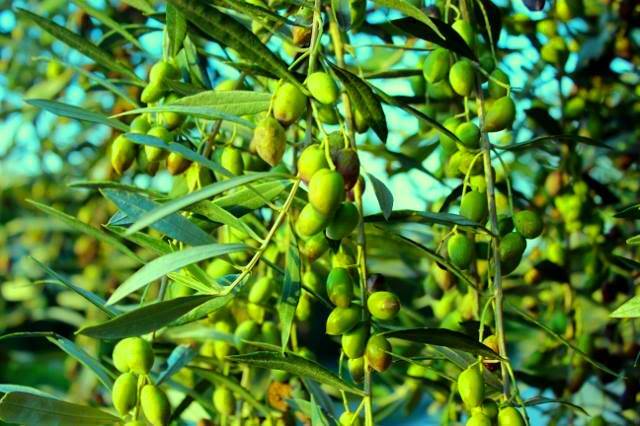 Like wine, the terrain where olives grow influences everything about the oil, namely the flavor. The “Bold” label is from Lakonia – pungent & peppery, harvest point traceable back to one square mile, Kosher and PGI certified. What’s PGI? Basically, this oil has been produced from the same land and same trees for hundreds of years. 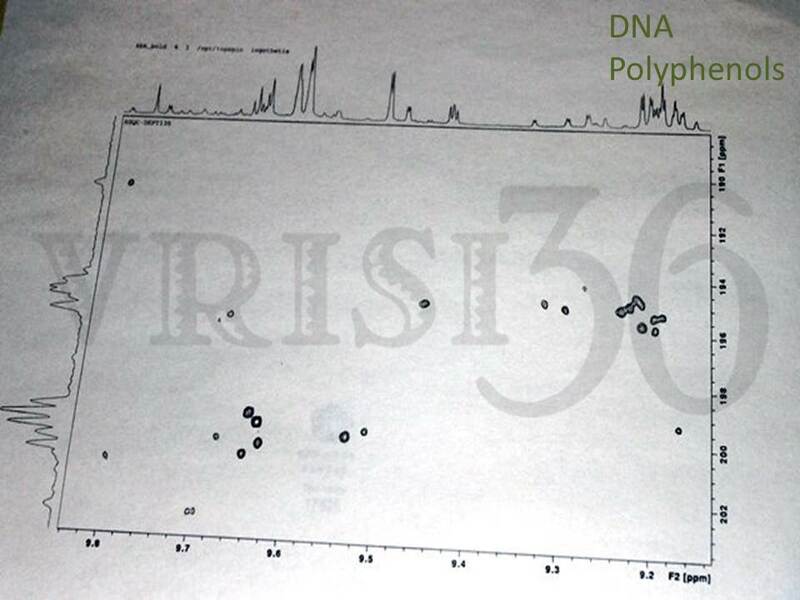 Our Vrisi36 “Delicate” comes from a region outside of Kalamata and is traceable to the region of Messenia. The flavor profile is naturally herbal, fruity and buttery. Wondering what’s in your bottle? Generally speaking, the more specifics on the label, the more authentic. When buying olive oil look for a named region within a specific country. What if there is no region on the bottle? This probably means it was mass produced from different countries, shipped to and from, stored and bottled, allowing air and time into the oil which diminishes its health benefits and flavor. 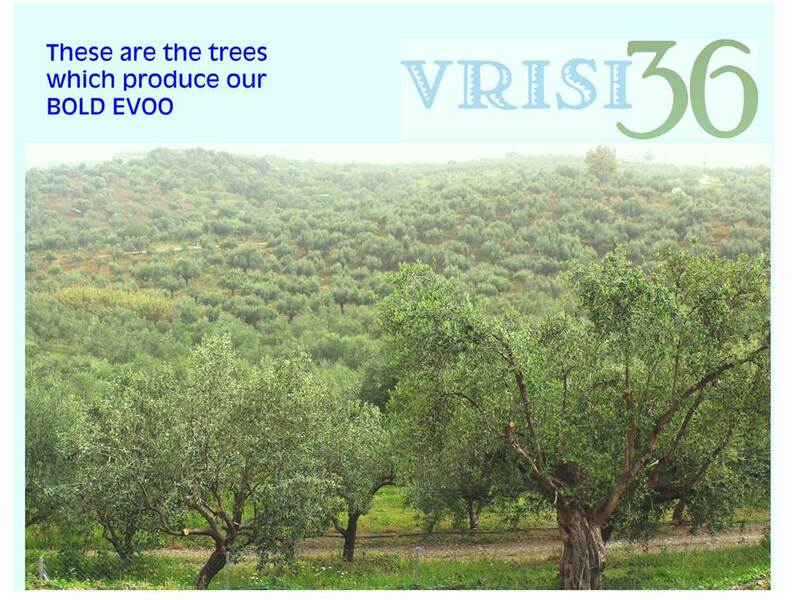 Vrisi36 is making exciting innovations in offerings of extra virgin olive oils, proving superiority and transparency. By incorporating TRACEABILITY APPLICATIONS back to one square acre of where it came from to incorporating PRECISION FARMING techniques’ with proprietary instruments which allow a snapshot view of any farm at any time, to taking care of our land, by having zero waste in production and very low carbon footprint. Our products are extensions of the land and connected to generations of artisans. Did you know some of our Olive Trees have been around for hundreds of years? 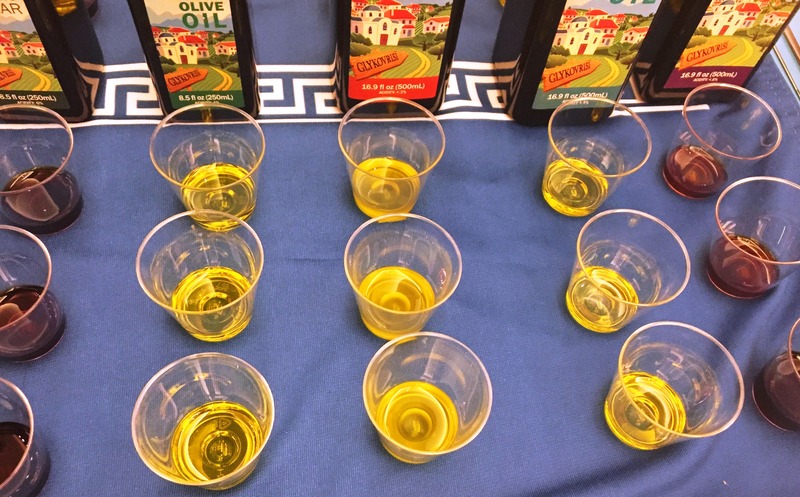 Bold, and Delicate Extra Virgin Olive Oils are tested at University of Athens for Polyphenols, the good-for-you plant phenols in the oils which keep the body healthy. Not all oils have them and if they do some are high amounts and some are low. This process also proves there is zero tolerance for fraudulence in oils. Our beliefs stay true with all our products and practices, grown with care and respect for the land, the methods, our employees and for you and your family. Bringing 100% Greek Goodness to your dinner table is our promise. It’s not only about hundreds of years of experience, caring for the same trees which produce our Vrisi36 Olive Oils, it’s also about truth in food transparency and sustainability. Know what’s in your bottle! There is a difference. This entry was posted in Uncategorized and tagged authentic olive oil, best olive oil, foodie, olive oil, recipe Mediterranean diet. Bookmark the permalink.